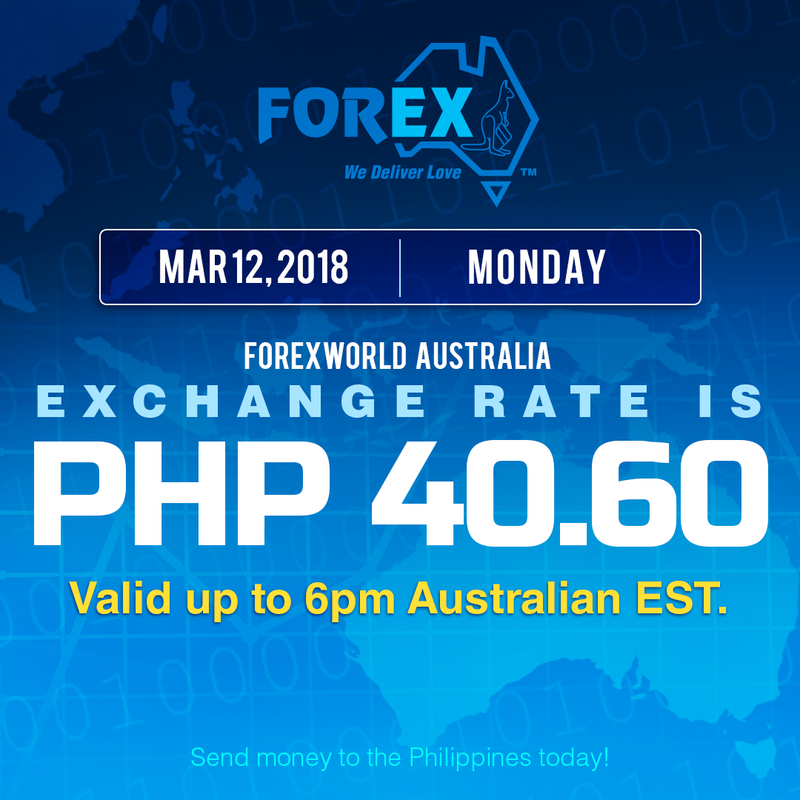 Forexworld Australia Exchange Rate March 12, 2018 (Monday) is PHP 40.60 valid up to 6pm Australian EST. 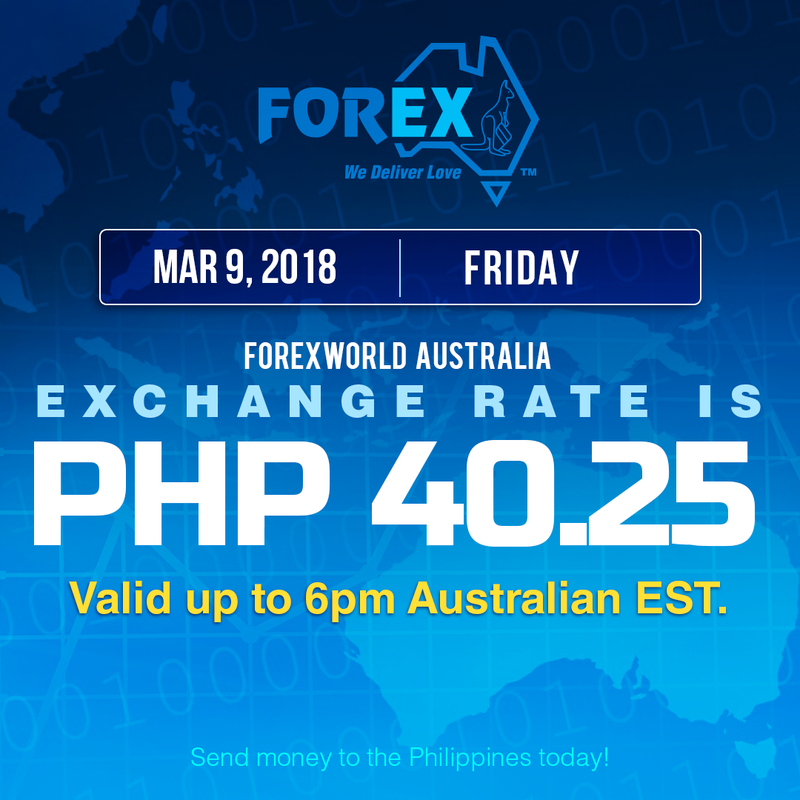 Forexworld Australia Exchange Rate March 9, 2018 (Friday) is PHP 40.25 valid up to 6pm Australian EST. 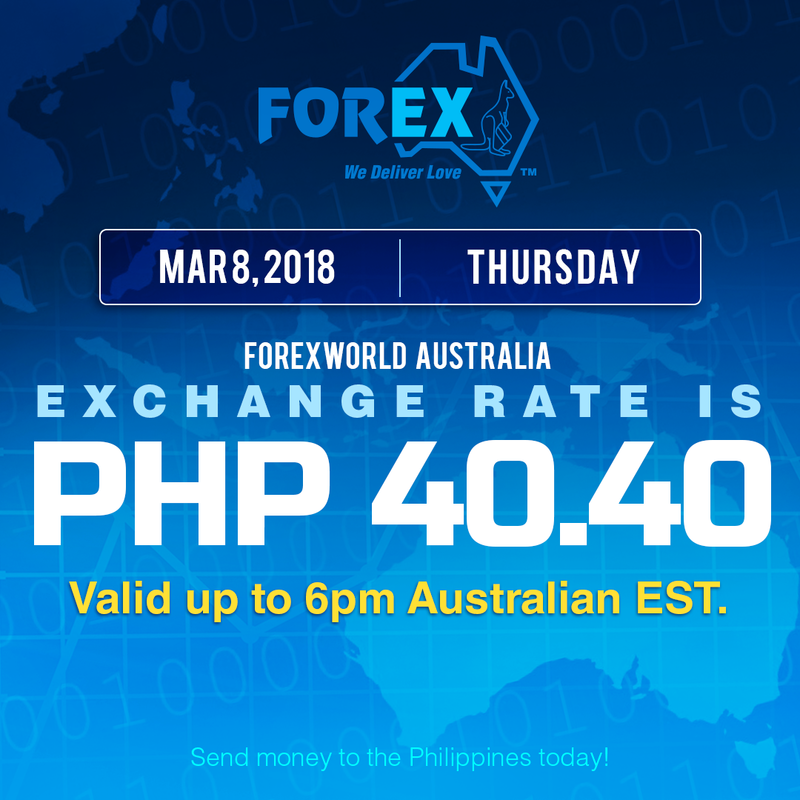 Forexworld Australia Exchange Rate March 8, 2018 (Thursday) is PHP 40.40 valid up to 6pm Australian EST. 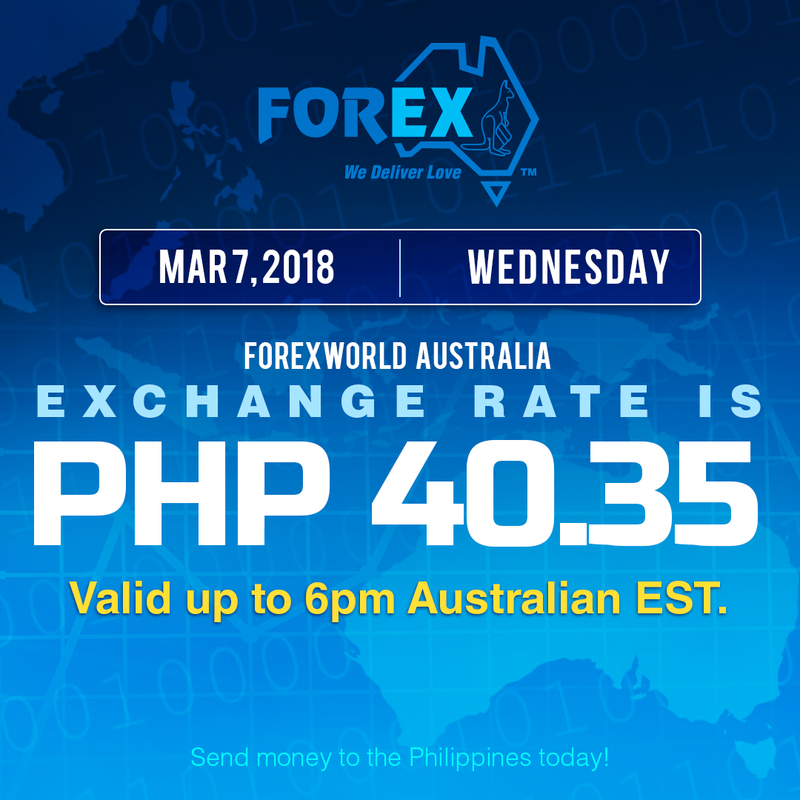 Forexworld Australia Exchange Rate March 7, 2018 (Wednesday) is PHP 40.35 valid up to 6pm Australian EST. 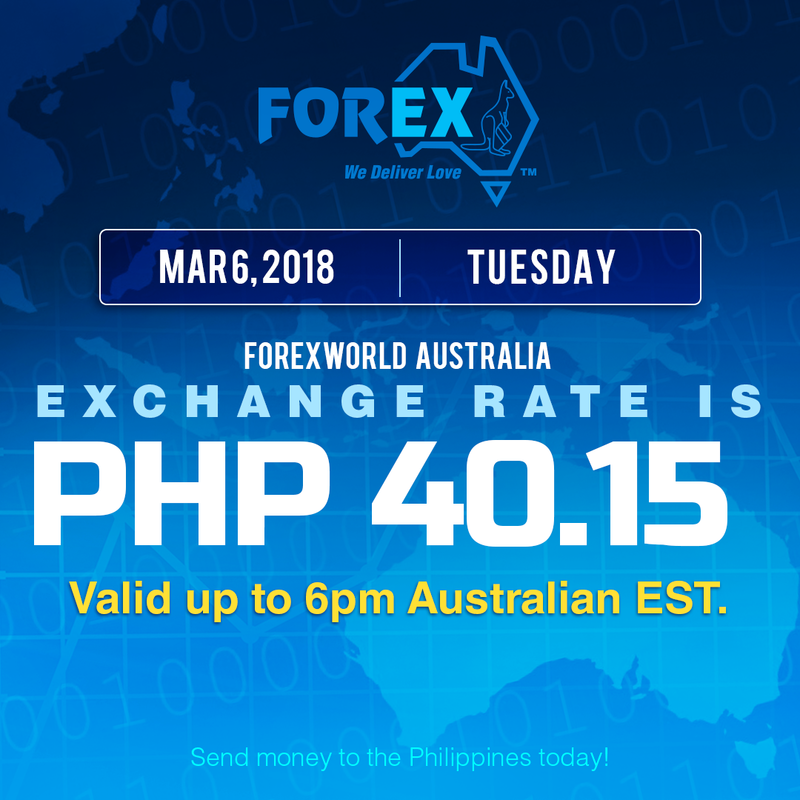 Forexworld Australia Exchange Rate March 6, 2018 (Tuesday) is PHP 40.15 valid up to 6pm Australian EST. Forexworld Australia Exchange Rate March 5, 2018 (Monday) is PHP 40.05 valid up to 6pm Australian EST. Forexworld Australia Exchange Rate March 2, 2018 (Friday) is PHP 40.05 valid up to 6pm Australian EST. 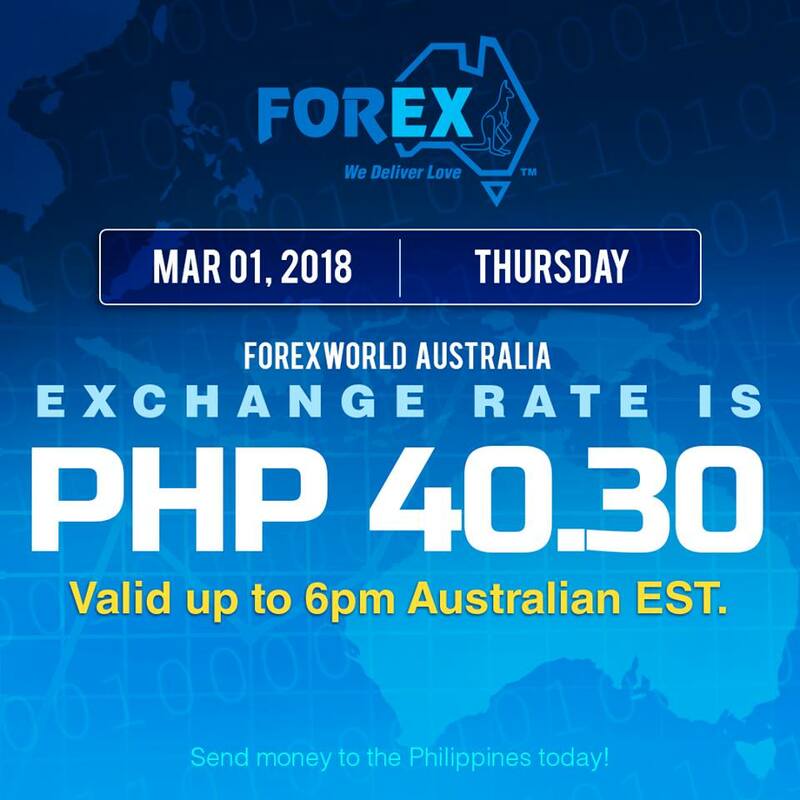 Forexworld Australia Exchange Rate March 1, 2018 (Thursday) is PHP 40.30 valid up to 6pm Australian EST. 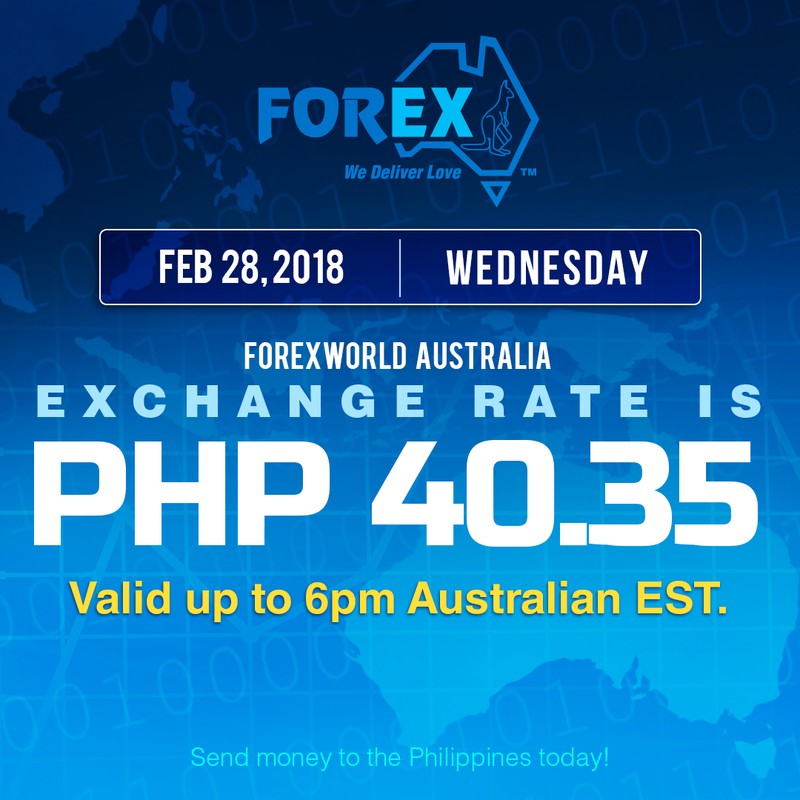 Forexworld Australia Exchange Rate February 28, 2018 (Wednesday) is PHP 40.35 valid up to 6pm Australian EST. Forexworld Australia Exchange Rate February 27, 2018 (Tuesday) is PHP 40.40 valid up to 6pm Australian EST.